This is the closest to ABBA you'll ever get! 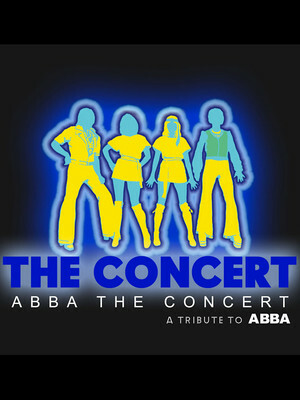 Why See ABBA: The Concert - A Tribute To ABBA? Get ready to relive the golden days of pop with ABBA: The Concert, the world's best ABBA tribute act, as they tour the US. Formed in 1996, this highly successful and astoundingly accurate group has toured the world extensively and clocked over 1000 shows - each one featuring at least two members of ABBA's original rhythm section. Few can forget the huge impact Agnetha, Bjorn, Benny and Anni-Frid made on modern popular music and many mourned when the quartet announced their end. Their incredible 13-year career saw sales of over 380 million albums internationally, making the band one of the most commercially successful pop groups of all time. Now ABBA: The Concert will tale you back to the time when bell-bottoms and big collars ruled the dance floor, playing hits like 'Waterloo', 'Dancing Queen' and 'Mamma Mia'. Sound good to you? Share this page on social media and let your friends know about ABBA: The Concert - A Tribute To ABBA at Cape Cod Melody Tent. Please note: The term Cape Cod Melody Tent and/or ABBA: The Concert - A Tribute To ABBA as well as all associated graphics, logos, and/or other trademarks, tradenames or copyrights are the property of the Cape Cod Melody Tent and/or ABBA: The Concert - A Tribute To ABBA and are used herein for factual descriptive purposes only. We are in no way associated with or authorized by the Cape Cod Melody Tent and/or ABBA: The Concert - A Tribute To ABBA and neither that entity nor any of its affiliates have licensed or endorsed us to sell tickets, goods and or services in conjunction with their events.